Numerous studies suggest that women who experience a high level of stress during pregnancy period have the higher risk of preterm delivery and it can also have an adverse effect on the future health of the baby. 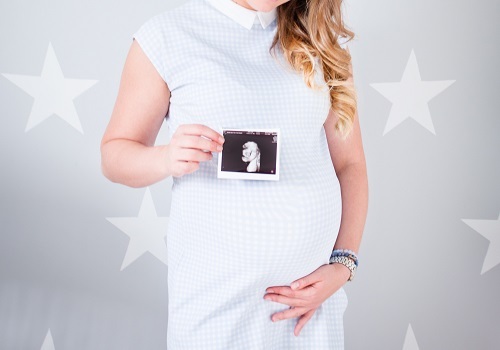 During pregnancy, endocrine system, immune system, and the nervous system work together to have a safe and successful pregnancy and it has been suggested that the stress can disrupt the functioning of these systems. Increased maternal psychological stress is highly associated with the vascular disorders such as hypertension and preeclampsia. These disorders can be the cause of preterm delivery. Stress can cause a long term health problem in the development of the baby. It increases the risk of developmental delay and can result in low weight birth in babies. In fact, one of the studies found out that the high cortisol level in the body of the mother can affect the functioning of the certain parts of the brain which can lead to an impairment of the cognitive function of an unborn. When a person is stressed, the body produces hormone cortisol and this hormone is known as the stress hormone. Cigarette smoking is one of the major environmental risk factors that is associated with several adverse developmental outcomes in an unborn. Preterm delivery, spontaneous abortion, psychiatrist disorders, and growth restriction are some of the problems that bring the risk for an unborn. The harmful effects that are associated with maternal smoking during pregnancy affect many different mechanisms. It affects the placental tissue and umbilical artery blood flow. Cigarette smoke is full of harmful chemicals that are associated with adverse effects during pregnancy. Nicotine and carbon monoxide which are two chemicals that are present in the cigarette smoke are found to be the cause of vasoconstriction at the placental level and these chemicals are also known to enter into the fetal tissues. Also, there are many pieces of evidence that prove that cigarette smoking acts like a poison and can lead to the developmental of diseases in the unborn child. The risk of fatal congenital heart defect is linked to the exposure to maternal smoking during pregnancy and it can also affect the development of the fatal’s kidney. The children of a mother who smoked during pregnancy are at higher risk of being overweight with an increased body mass index. Fetal alcohol spectrum disorder is a group of diseases that can develop in a person whose mother drank alcohol during pregnancy. Abnormal appearance, low body weight, short height, behaviour problems, low intelligence are some of the problems that a person might face while suffering from fetal alcohol spectrum disorder. Consumption of an alcohol by the pregnant women can result in abortion, fetal mortality and prematurity. The most profound harm that is caused to the child is disrupted development of the brain that leads to neurobehavioral effects that include an impairment of cognitive function. Exposure to alcohol during pregnancy is also found to cause a dysmorphic facial feature. Dysmorphic feature is the difference in the structure of the body. Also, alcohol passes through the placenta and reaches the baby. Baby has very little ability to metabolize alcohol and this alcohol can damage the cells of the developing baby. It also impairs the blood flow to the baby and can result in hypoxia. Hypoxia is the deficiency of the oxygen at the tissue level. Pasteurized milk - It is believed that pasteurized milk can contain a bacteria called listeria and it can lead to miscarriage. Listeria can infect the baby through infections or blood poisoning. Raw eggs - Eating raw eggs are known to have a direct exposure to salmonella. Eating raw egg or any food item that contains salmonella increases the risk of an infection that can be life threatening for an unborn baby. Soft Cheese - Soft cheese is also known to contain listeria, which is a bacteria that can affect the life of the unborn child and can cause miscarriage. Tags: Have some ‘Me-Time’ to Improve your mood, 5 things to avoid during pregnancy, 9 Myths you were practically believing to be true in pregnancy, How can to-be-mothers make a style statement? How to take care of your woman after delivery? How to increase your fertility non-medically? How can PUPPP be a pregnancy hell?